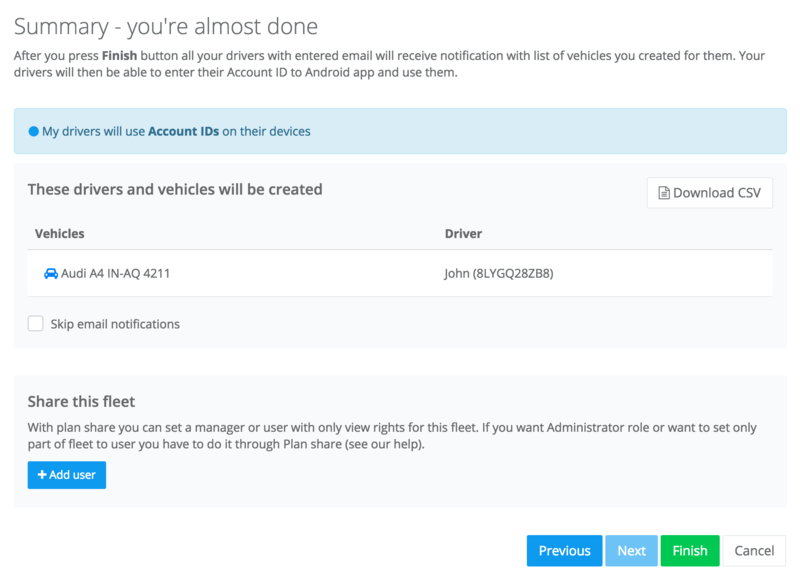 We recommend using these instructions to create a fleet if your drivers/company don’t have Google account emails. 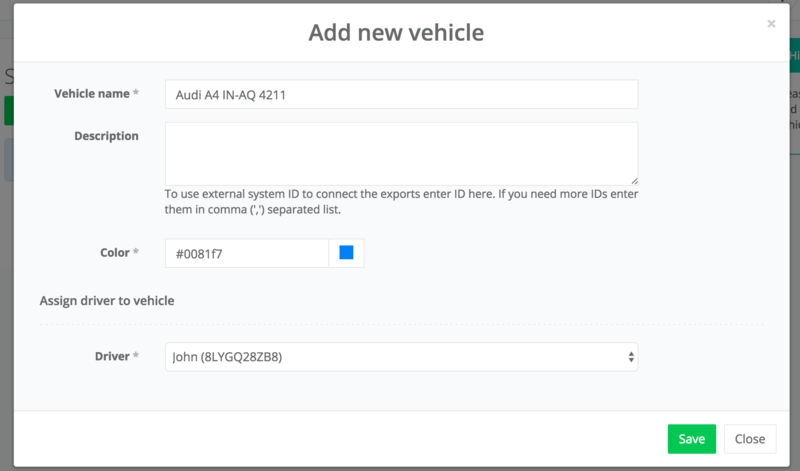 Account ID is a 10 character automatically generated ID for each your driver. It’s really simple to create such driver. You can then leave the system to send that ID to your drivers’ email or you just provide that ID to the driver. The driver then installs MyCarTracks app and on the first run, he chooses the option to enter Account ID, enters his ID and he is ready to record tracks. Now select Use generated Account ID option and press Next. Click on Add driver button. Enter Driver name and optionally Driver email. You can see here that an Account ID is automatically generated. Press Save. If you want to add more drivers repeat the step 4. otherwise press Next. Click on Add new vehicle button. Enter vehicle name and details and in Driver option select the driver to assign this vehicle to. Press Save. If you want to add more vehicles repeat step 7. otherwise, press Next. Now you will see an overview of your fleet you just created. If you added an email to your drivers they will be notified, but you can skip it with the checkbox under the table. Optionally you can also download the table in CSV to open in some spreadsheet app (e.g. Excell). Hit Finish to create the fleet. Please note that you need to hit Finish button, otherwise the fleet will not be created! If you skipped the email notifications you should now give the generated Account IDs to your drivers. They have to install the app and on the first run choose the “Use Account ID” option. Here they enter provided Account ID and they are done, they should hit the TURN ON RECORDING button and are now being tracked.